A friend bought and read this book and then gave it to me saying that I somewhat remind her of Margaret Fuller. It’s not just every day someone gives you a biography about a really strong and interesting character because by the time they finished the book, you were the person in their mind. So I read it, too. She’s not me but she is a worthy hero for a person like me. This is from the blurb on the back of the book, laying out the gist of Fuller’s life. 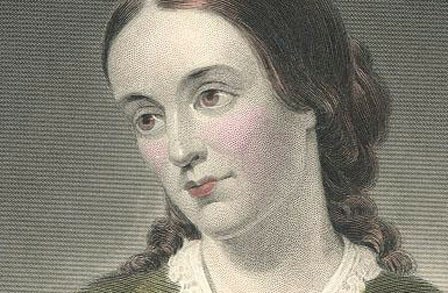 Margaret Fuller was born in 1810 as first child of Timothy and Margaret Fuller. Timothy, 40-years old, was a lawyer who would eventually become a US congressman from Massachusetts. His wife was 21 when little Margaret was born. Timothy had been an above average student at Harvard and was one of those people who think that being intellectual is the apex of things people can be. He was, to but it plainly, a snob about education. He enjoyed his lovely young wife but he didn’t respect her because she was “only” averagely educated for a woman of her time. Ironic, that…. Her father chose to leave congress after 8 years, when she was 15 and her siblings all younger. He moved the family to a barely-producing farm. He dabbled in writing, teaching, and hanging around with the intellectuals of his time and place. In most aspects, the family survived by scrimping along with money doled out by parsimonious relatives. Timothy died when Margaret was 19. As the oldest child and in many ways, the most logical person in their family, she would spend much of her 20’s into her 30’s teaching, writing, and scrabbling at endeavors that could provide some money for her mother and siblings. One of the forums she invented was “subscription discussions.” Wealthy women in the Boston and Providence areas would pay sums to belong to her weekly lectures with guided discussion, much like college courses that were open to women only. She built a reputation as an inspiring teacher and collegial discussion leader. In this way, she met many of the most curious and intelligent daughters and wives of men of “status” in Massachusetts and Rhode Island at that time. She wanted to travel to Europe as many of the privileged young people around her were doing - but there wasn’t enough money. While they were taking Grand Tours, she was reading, writing, scrambling for income. In that process she met many of the intellectuals of her era, including the Alcott family (Louise May wrote Little Women). Ralph Waldo Emerson would become a lifelong friend; she would work with him and others on a magazine that reflected the transcendental movement. She met Thoreau and Hawthorne. By her 30’s, she was writing newspaper columns for Horace Greeley’s newspaper in New York City, an extraordinary accomplishment for a female in a male-dominated society. With the power of her newspaper column, she could meet and interview people others had no access to including women in mental asylums and women in prisons. She strongly opposed slavery. She was not, according to the moribund fashions of the day, attractive. She was short, had a somewhat curved spine, and auburn hair (red hair was considered unattractive). Her skin was normal; not “porcelain fine” as was expected of upper-class females. But more than her normal – not exquisite – appearance – she was a woman who talked. She did not demure in complicated conversations. She knew things, she had considered opinions, and she joined in even where others thought a well-raised woman should be quiet. She was educated by her demanding father who expected nothing less than perfect logic, skills, and critical thinking. She was curious. She read constantly, some claimed she was the most well-read person in New England during her life. She wrote essays and articles and hundreds of letters. When her age-mates were going on those European Tours, friends invited her to tour “the Midwest” with them. In the summer of 1843 she traveled to Chicago, Rockford, and Milwaukee and then upwards into the wilds of Wisconsin and what is now the Upper Peninsula of Michigan. She met Chippewa and Ottawa Indians. In 1844 she published “Summer on The Lakes” which would be reprinted three times; thus beginning to provide a reliable income for herself and her family. One of her reviewers said it is a "transcendental travelogue, a sketchbook, and a social and political tract". In 1847, when she was 37 years old, she finally set off to tour Britain, France, and Italy. She met important people everywhere she went. She would write more than 30 long newspaper columns about who she was meeting, what people were thinking, what she was seeing. She ended up in Italy, which was in the middle of revolution! She met a young man who was in a revolutionary army. He was not an intellectual; he was brave and kind, and the two fell into a relationship that the rest of us can only wonder about. She eventually gave birth to a baby boy, and then stayed in Rome to continue writing about the battles around her. Her partner – whom she probably married in secret to protect their child – was Giovanni Angelo d’Ossoli. After the revolution failed in 1848, Margaret and Giovanni and their baby sailed to the US. Fifty yards from shore at Fire Island, NY, their ship ran aground in a hurricane winds. Within sight of land, the small family perished. The book she had been writing about the revolution in Italy was also lost. 1. Margaret’s father apparently desired to improve his prestige by fostering brilliant children. You know what? As much as most of us value education – this is not fair. Margaret was a lonely, awkward child who grew to become an often lonely, awkward adult. There were very few places in the first half of the 19th century for highly intellectual women. When reading her letters to others and journal statements to herself during her adolescence and her 20’s, I often cringed at how lonely she was. She worked so hard to find ways to use her intelligence and education and to her credit eventually made that happen. But she was bereft and disappointed early and often. People talk about “helicopter parents” and “tiger moms.” It is our job as parents to provide structure and expectations for our children to grow into. But if we need our kids to be awesome in order to justify OUR flailing self-esteem, then the job is to get our own therapy and let the kids just grow up. 2. No one ever suggested Margaret Fuller was on the autism spectrum. This is purely my wondering - if she was a bit on that continuum. She had an unusual ability to concentrate, mythological characters fascinated and delighted her, it seemed as if she often misread social clues. The older I get, the more I see and appreciate that we are all so different. We really, really need to throw out the damnable ideas of “normal”. We need us all. 3. It seemed to me when reading this book that her life started to “work” when she began to find ways to share herself into the world. She started those subscription lecture and discussion groups. She became friends with other bright and curious women. She gained a foothold in her life as she used her talents and skills on behalf of others. She was the first journalist to go into prisons and asylums to report on conditions in those grim institutions. 4. Ralph Waldo Emerson could and did act like a jerk to Margaret. He met Margaret when she was in her early 20’s. His first wife had just died; he was looking around for a second wife. He admired Margaret’s mind but because she was not beautiful he apparently never pursued anything with her but intellectual friendship. He soon married his second wife who was kind and lovely but not intellectual. For many years Emerson would write to and spend weeks at a time with Margaret; she was often a guest in their home, talking with him late into the night. They braved new topics, argued, and shared their keen intelligence. Years later Margaret realized Emerson’s wife was sad because he shared his spiritual intimacy with Fuller. When she understood that, she no longer spent long weeks as a guest in his house. She continued to be his friend, but she was the one who had to protect her heart and reputation around him. Margaret published “Women in the 19th Century” in 1845; her analysis of the roles, possibilities, and future of women in society. The first women to work for women’s rights all read this book; Elizabeth Cady Stanton had attended her discussion groups in Boston. There was already conversation to invite her to speak at Seneca Falls, when she lost her life in the shipwreck. Margaret Fuller’s life was brilliant, difficult, and deeply complicated by the strictures of the society around her. Yet, as we like to say this year – She Persisted! Margaret lost everything when she was only 40 years old. The man who adored her. Her toddler son. The notes and beginning draft of her eye witness account of revolution in Italy. Her life. What she left behind was a wide open crack in society where light would shine. Very interesting!! A remarkable woman , such a tragic ending.